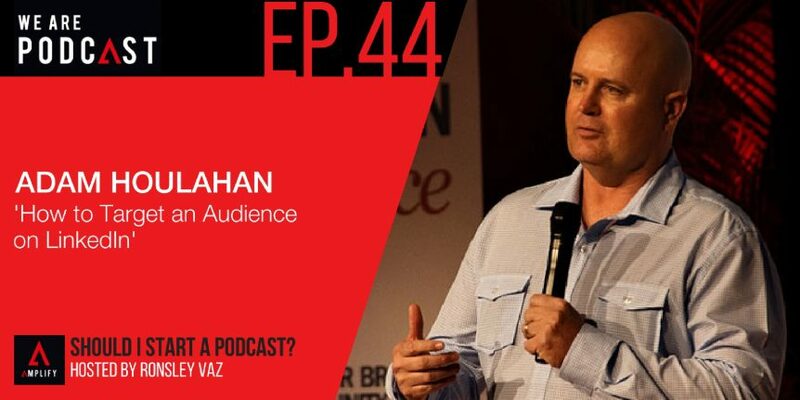 Adam Houlahan is an International Keynote Speaker specialising in Social Media marketing for business. CEO of the highly successful boutique agency, Web Traffic That Works. He is considered to be one of Australia’s leading experts in harnessing the power of Linkedin for business. Adam is also a featured columnist for MOB Magazine. An Australian National Business publication. He consults on Social Media to private clients in Australia, New Zealand, North America, The Middle East and Singapore. His work as CEO and owner of 6 successful companies has given him the hands-on experience to understand business from the inside. Adam believes real and meaningful change comes through the world’s entrepreneurs. His purpose is to provide their businesses with powerful tools to grow and accelerate their global footprint. And that together we make a huge impact! Through his Lifetime Partnership with the Global Giving Initiative B1G1 www.B1G1.com he is well on track to positively impact the lives of more than 1 million people in need. The three basic things to learn LinkedIn platform. The power of LinkedIn marketing to connect with someone. What are the most important things to consider to leverage LinkedIn Marketing ? You can really drawdown on who you’re trying to connect with. If you’re trying to implement traction marketing process, you can connect with these people. Have a conversation with them and have them interviewed. That’s one example of how you can really drawdown with LinkedIn to connect with people you want to interview. What about if you wanted to just get people to subscribe to your podcast? It’s basically the same thing but you would change the summary to be attractive. By doing that, you’ll then also change the links. So, you’re linking through to the sign up process on your podcast. As you do more episodes, you add more links and more credibility. People are then able to see what your podcast episode is about. They can easily get linked through, sign up and watch one of the courses. Then you’ve got them on your list. That’s the key point as you need to move people off your social profile. If you’re really serious about using LinkedIn as a real tool, you do need to operate. Using the business plus is the lowest level of the paid version you can get. It’s not overly expensive. It allows you to view more profiles.